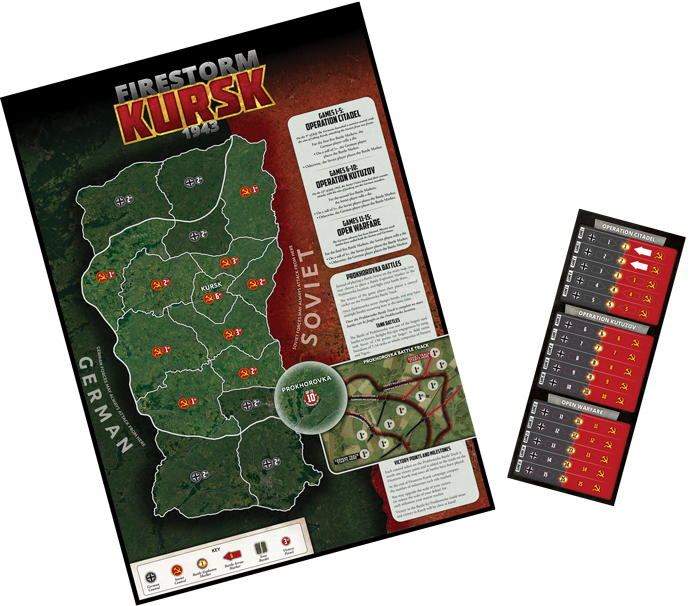 Don’t forget to contact us or your store to secure your group or clubs Firestorm: Kursk campaign available now! It is July 5th, 1943 and the Heer is bloodied and tired but successes by Field Marshall Manstein and General Hoth during the winter have put the Soviets on the back foot and reduced the front line to a Soviet salient or bulge 250 kilometres (160 mi) long from north to south and 160 kilometres (99 mi) from east to west centred on the city of Kursk. The Germans have spent months massing troops in the area for a decisive blow against the Soviets with the plan of trapping five known armies in a pocket and destroying them. The plan envisioned an envelopment by a pair of pincers breaking through the northern and southern flanks of the salient. The Soviets were not idle during this time, having learned bloody lessons over the last few years of fighting. They decided to meet the enemy attack by preparing defensive positions to wear out the German groupings before launching their own offensive. Preparation of defences and fortifications began by the end of April, and continued until the German attack in early July. The two-month delay between the German decision to attack the Kursk salient and its implementation allowed the Red Army ample time to thoroughly prepare. The Soviets created the largest fortifications of the war, digging almost 10,000 km of trenches in six massive defensive belts on either side of the salient. Fortifying each belt was an interconnected web of almost a million mines, barbed-wire fences, anti-tank ditches, deep entrenchments for infantry, anti-tank obstacles, dug-in armoured vehicles, and machine-gun bunkers. Without including the deeper reserves organized under the Steppe Front, the Soviets massed about 1,300,000 men, 3,600 tanks, 20,000 artillery pieces and 2,792 aircraft to defend the salient. Now, Battlefront has brought to you the ability to fight this climatic battle for the future of the Eastern Front. Will the Soviets be able to smash the German offensive? 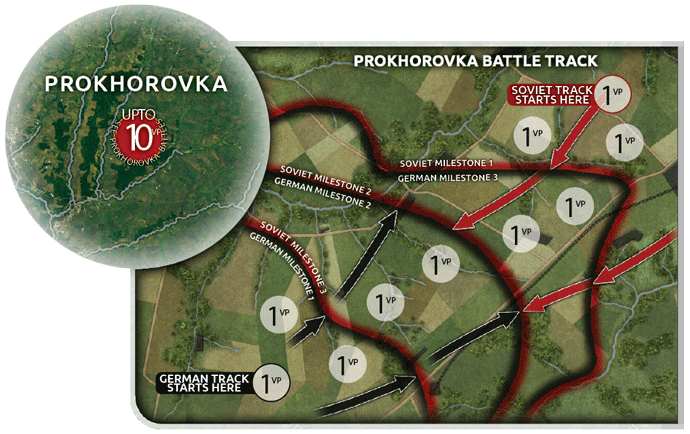 Will the Germans be able to crush the Soviet stronghold? This Firestorm pack has everything needed for your club to enter into the thick of battle! We have the map that is used in conjunction with a simple instruction set to get the most out of an ever-changing battlefield environment and keep the excitement level up. For those that have not played in a campaign style organized activity before, this is a great opportunity for you to feel the excitement of your battles mattering on the strategic board. Every victory or defeat influences the overall strategy for your side. If your group plays out of a store that supports the game, have the store contact their Account Manager and request a set to be added to their normal restock orders . There is no better way to pull together your group than to take advantage of a well-built campaign that encourages activity and strategic thinking. I have played in many Firestorm Campaigns, and the question is always, “Why am I fighting here? Where are we going with this once I win?” or “If I lose here, what can we do to minimize the damage?” Pick-up games are great and fun, but a well-run Firestorm campaign is where the games come alive and mean something in the larger picture.